Established in 1985 by President and CEO, Patrick Allkins, OnStaff Group has proven its ability to provide our clients with the best services and candidates possible. From Fortune 500 companies to small businesses, from CEOs to entry level positions, our team currently serves more than 150 clients. OnStaff Group’s three specialized divisions provide a comprehensive selection of human resource services, customizable to our clients’ specific requirements. Staffing services for temporary, temp-to-hire and direct hire positions. Consulting, testing and training services. High skill-level direct hire and contract recruiting. Regardless of the division, OnStaff Group’s guiding principles are integrity, dedication and partnership. As a result, not only have we become the largest human resource services firm in Southwest Michigan but we have also maintained an exceptionally experienced, stable staff. Collectively, our team brings our clients the benefit of over 168 years of expertise from a vast variety of organizations and industries. We really are the kind of people you want on staff. Please visit www.onstaffgroupcharities.com for more information. 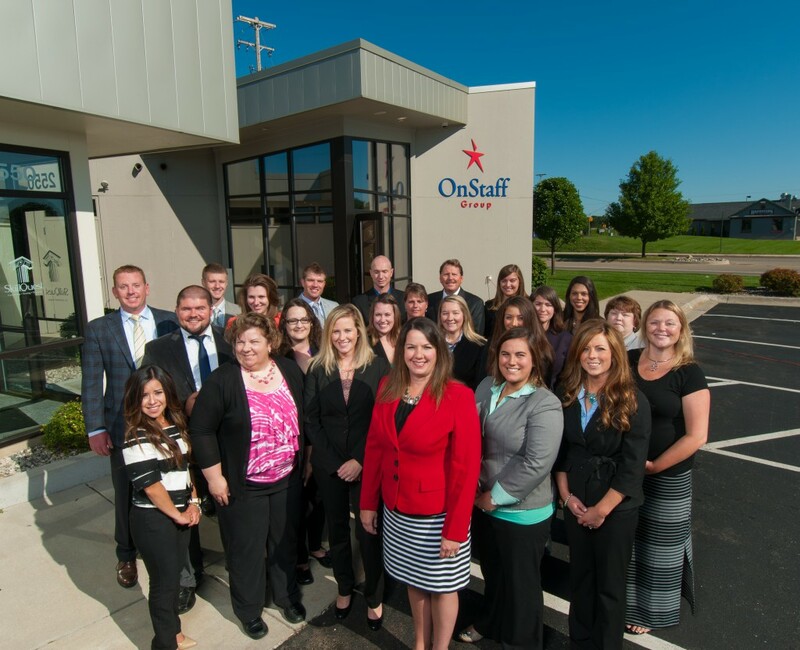 As part of OnStaff Group, the number one recruiting firm in Southwest Michigan, the OnStaff USA team has all the resources necessary to attract, recruit and place the best employees for the best organizations. Providing service that is second to none, our senior staff is available 24 hours a day, 7 days a week. Collectively, OnStaff Group’s recruiters bring our clients the benefit of over 168 years of recruiting expertise from a vast variety of organizations and industries. Our experienced team of recruiters is dedicated to our clients’ complete satisfaction.